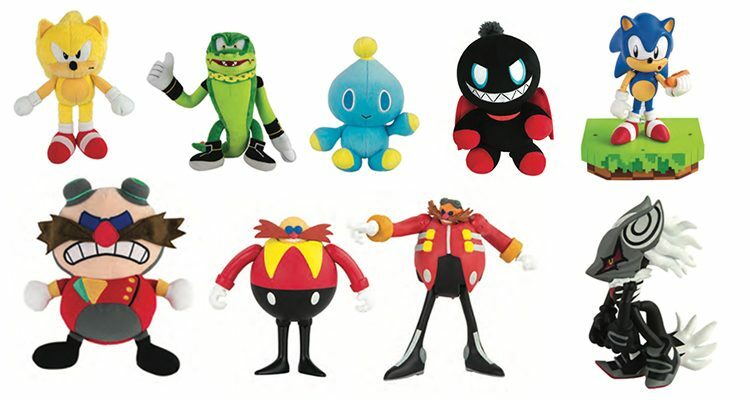 SEGA went pretty far out there to have Sonic Boom be a huge launch which included a TV Show, video games, comics and even a toy line by Tomy. SEGA America had big plans for the new look and new ‘direction’ of this Sonic series, which would have existed along side with modern Sonic the Hedgehog. Sadly the video games launched by SEGA had rough sales and slowly SEGA turned the wheels on Sonic Boom by cancelling the comics and video games. But the Sonic Boom TV show still remained, the last episode aired on November 11, 2017 and the series has ran for two seasons spanning 104 episodes. 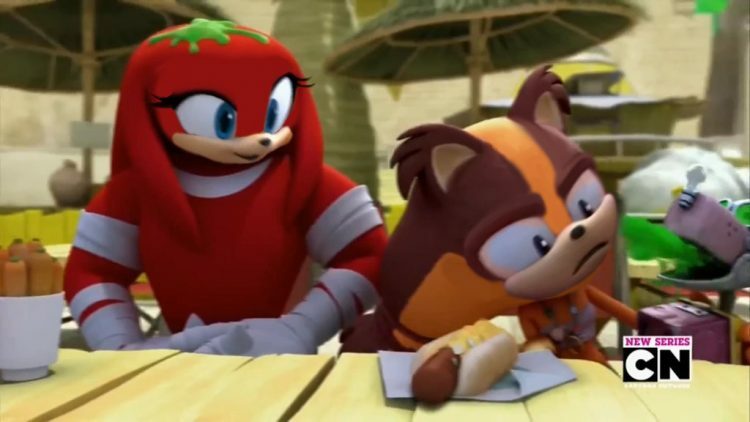 While I’m not a huge fan of the redesigns or video games, I will admit something about the Sonic Boom TV show (and even comic) really had me entertained. I know they aren’t perfect but I always found the writing on the TV show to be witty and well done. Now SEGA is launching the excellent Sonic Mania Adventures web series, could we see classic Sonic take away Sonic Boom‘s TV spot? Do you think that SEGA should continue Sonic Boom as a TV show brand and what is your overall thoughts of Sonic Boom, 4 years later? 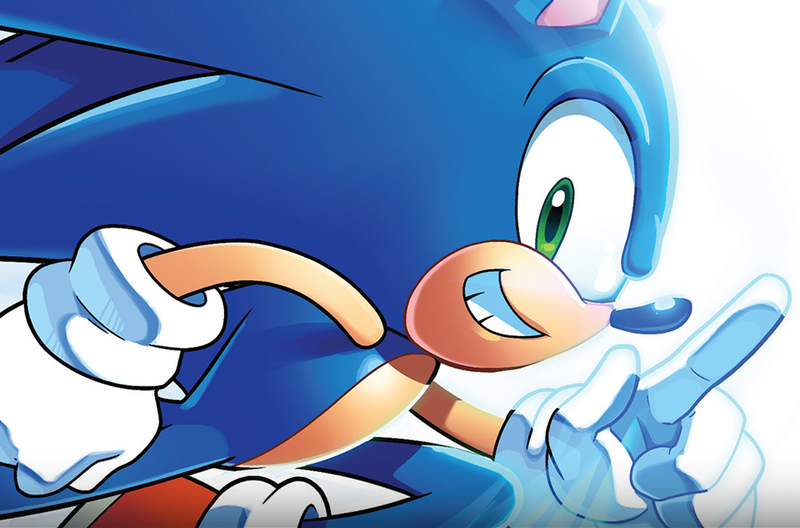 It’s April 4th, and that means the official launch of Sonic the Hedgehog IDW series! On this episode of the SEGA News Bits Barry will give you his thoughts on the new direction, how it stacks up against the Archie Sonic the Hedgehog series and much more. 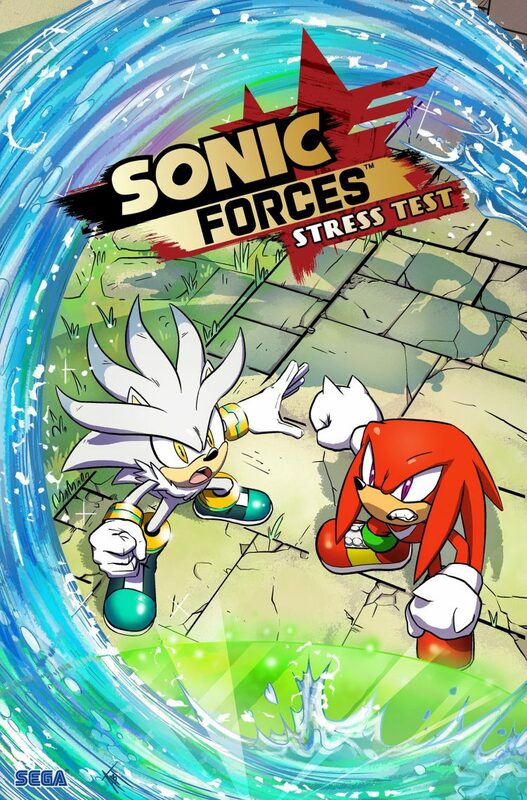 Did you pick up the new issue of Sonic the Hedgehog IDW? If not, no worries, this discussion is spoiler free! If you want to support this type of content, you can check out our Patreon! IDW’s Sonic the Hedgehog #1 releases today! Just a friendly reminder that Sonic the Hedgehog comics are making their big return today with IDW taking over from Archie with an all new rebooted comic book series. Each week in April will see a new issue, with issue #5 moving back into a regular release schedule (which will no doubt relieve the strain on the artist’s wrists). Expect a SEGA News Bits covering issue #1 this week, and a preview of issue #2 in the next SEGA News Bits Extra which is our Patreon exclusive video series. You can check out the issue’s synopsis, as well as a cover gallery, after the break. 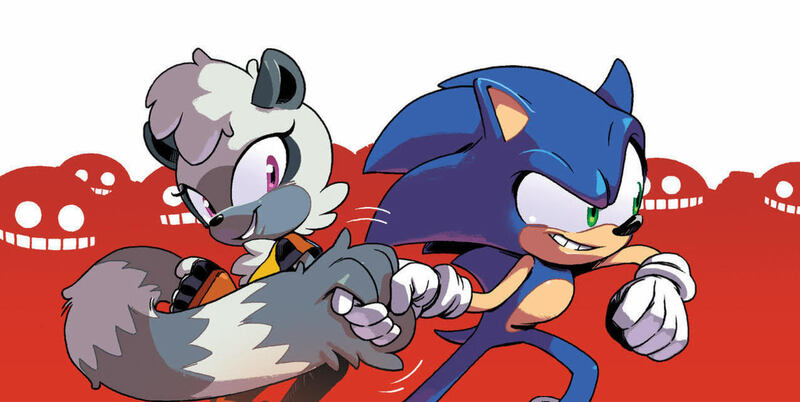 IDW’s Sonic the Hedgehog comic books are due out with one issue per week in April and then monthly after that, and in the lead up to the new series we have our first look at the villains Rough and Tumble via Kotaku. 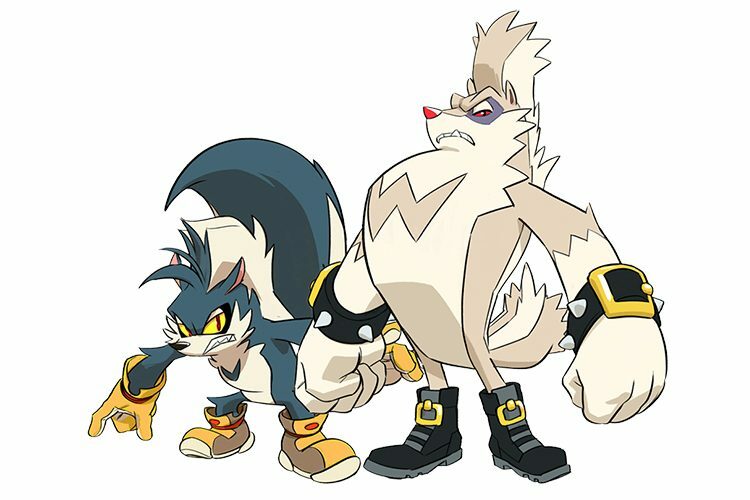 Set to debut in issue three, these skunk brothers (Rough is the little one, Tumble is the big one) are described as “independent agents” and “more bullies than masterminds” but “tough enough to maybe become someone’s henchmen down the line”, according to associate editor David Mariotte. The character creation process is also touched on in the article, noting that SEGA has final approval on new creations. 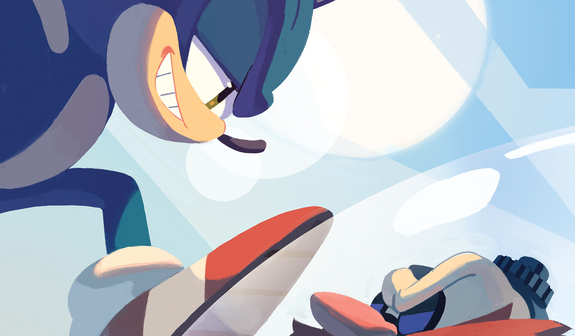 IDW’s Sonic the Hedgehog #1 releases April 4th! After the break, check out some additional images of the new villains. We have finally gotten some new information regarding the launch of the Sonic the Hedgehog IDW comic series and on this episode of the SEGA News Bits we’ll go over all the information that has been revealed thus far. Including the introduction of a new character, discuss returning characters and even talk about the plots of the first four issues including most of the covers that have been revealed. 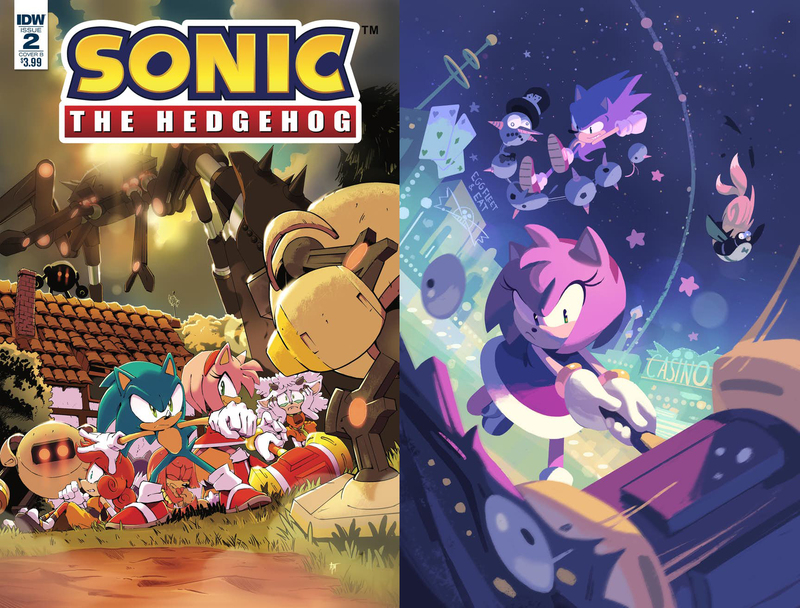 So tune in and let us know what you think of the new Sonic the Hedgehog IDW comic books that are set to launch in April! Yeah, all four issues will launch the same month. Now that’s a lot of Sonic the Hedgehog action. IDW’s Sonic the Hedgehog comic book series begins in April with an issue per week, and the publisher has been releasing exclusive previews on various sites. Yesterday, Entertainment Weekly debuted the previously revealed issue 1 cover art along with a variant cover reveal and some story details. Each issue released in April will star Sonic and spotlight a classic ally, with issue 1 featuring Tails. Issue 2, revealed today by CBR, will feature Amy Rose and – if the cover follows the story – Eggman robots from Sonic Forces as well as new characters including a pink goat girl (possibly IDW’s soon to be revealed character). 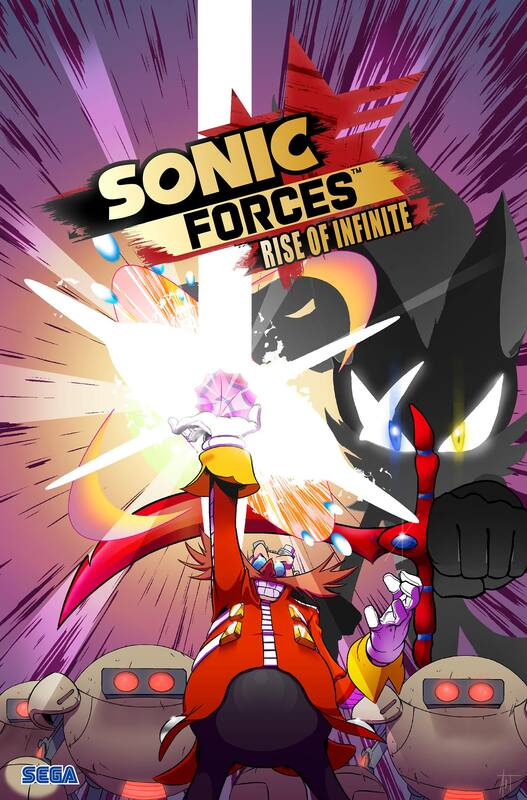 Also, Amy will invite Sonic to join the Resistance, which makes me wonder if the first arc will be a Sonic Forces adaptation. The next two solicits should hit tomorrow. After the break, check out the newly revealed covers and solicitation information. 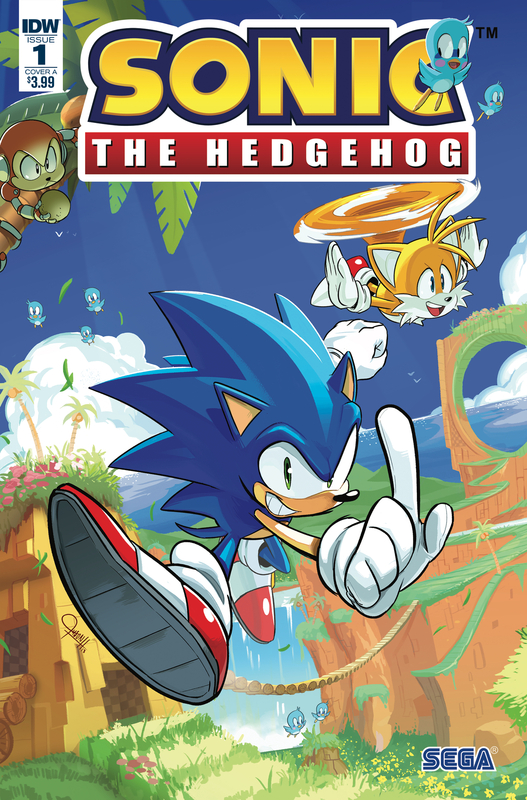 While we are a bit late on talking about this due to the long weekend away from technology, we are covering the big news that Sonic the Hedgehog comics are back but this time with IDW as a publisher. 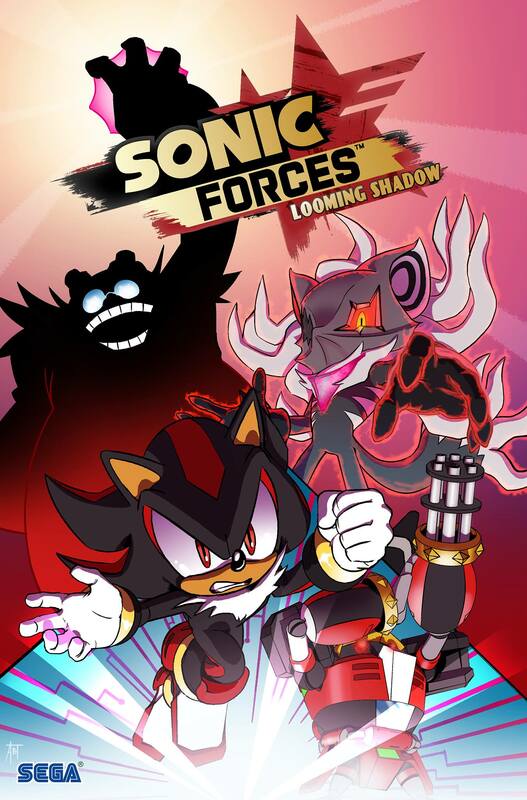 If you guys didn’t hear, Archie’s Sonic the Hedgehog series ended less than a week ago and SEGA was quick to announce their new partnership with IDW! If you guys watched our previous SEGA News Bits episodes discussing all things Sonic the Hedgehog comics related, you’d know that we have wanted the Sonic the Hedgehog brand to end up at IDW for a long while. So on this episode of the SEGA News Bits we talk about Sonic joining IDW, the potential crossovers, and our hopes for how the transition is handled. There is still a lot of details to hash out on how IDW will be handling their own series, but what do you wanna see? Let us know in the comments below and will you be picking up the new IDW Sonic the Hedgehog series come 2018? Just announced at this year’s San Diego Comic Con, IDW broke the news at their press conference that they will start publishing Sonic the Hedgehog comics starting 2018. It seemed to be quite obvious that SEGA wasn’t happy with how Archie Comics had been handling the Sonic license when it came to comic books and has now started a publishing partnership with IDW which has quite the in-depth comic licenses including Transformers, TMNT, Ghostbusters, Star Trek, and a lot more. As you can tell, we don’t know if Ian Flynn will be joining Sonic the Hedgehog comic book come 2018, but we do know that Ian Flynn does have a working relationship with IDW as he worked on some of the CGI TMNT books. What are your thoughts? Will be checking out the new Sonic the Hedgehog comicbooks come 2018?